Items provided for review. All opinions are my own. 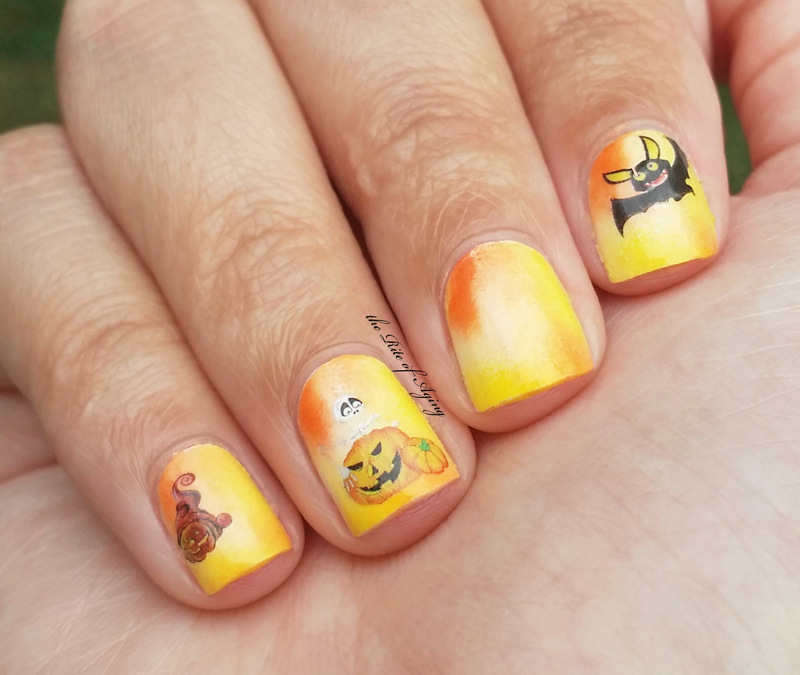 These are the only Halloween decals I would do. The skeleton is so happy and the bat is smiling. How can those be scary?? Every year I try to do a candy corn gradient on my nail and this year I decided to switch to an acrylic sponging. I had to re-do the base just because I didn’t realize how over-powering the orange was. The first time I sponged the design across the nail I ended up with a purely orange nail! After that, I painted an pin-size drop and even then you can see how much it spread! Thanks Justina!! I know, right?? The only Halloween I can do, cute!